I had my very first cup about a month ago and fell instantly in love. Since then, I have tried to make the perfect cup of my own from scratch. The cardamon gives this tea a flavor that I have personally never tasted before and the allspice gives it that spicy kick. It was the flavor that was missing from the recipe I started with. After tweeking it a few times it was still too watery for my taste so I decided to up the ingredients and take away some water to try it as a concentrate. 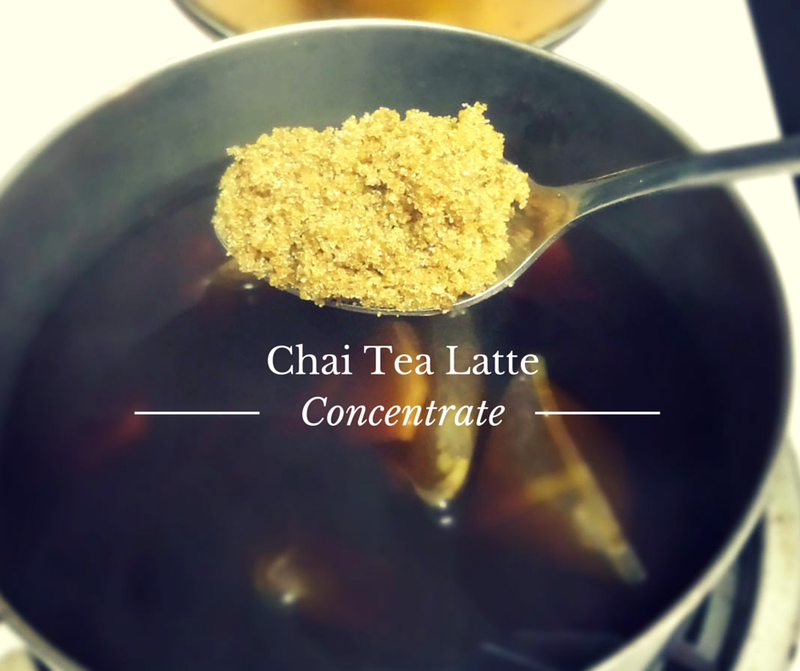 I like strong flavors and this tea is meant to be strong so that you can add it to milk without diluting the flavor. This was the problem I was having before. Also, making a concentrate allows you to control how strong or light you want the flavor to be. You can use whatever milk you want, too. My sister loves it (even without the milk), but since she is lactose intolerant I can use my milk and she can use hers. Lovers of soy and almond milk abound! Want a richer flavor? Try adding half and half or even some heavy cream. There was leftover evaporated milk from Thanksgiving that I used and that was great as well. There are so many possibilities! 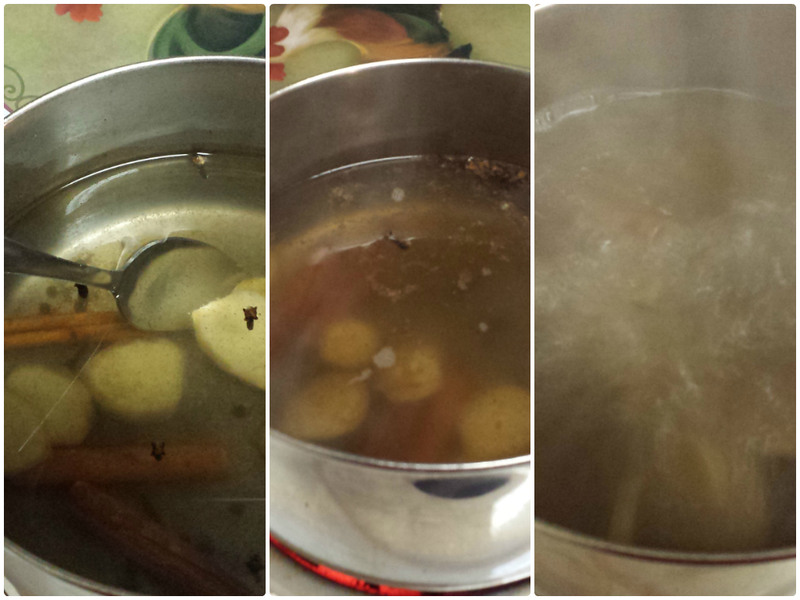 Add cloves, peppercorns, allspice, cardamon, ginger and cinnamon to medium sauce pot. Stir ingredients together as you bring the mixture to a boil. This is where you enjoy the aroma…and the pretty color of your tea. As soon as the water begins to boil, remove the sauce pot from the heat, cover and set aside for about 5 minutes. To pass the time time, dance to your favorite song. So long as you don’t get carried away you should be ready to continue by the time it’s over. Return the pot to the heat and bring it to a boil once again. It shouldn’t take long this time since the mixture is still pretty hot. Add the tea bags and stir. I like to poke my bags a bit with my spoon to get out as much flavor as I can. 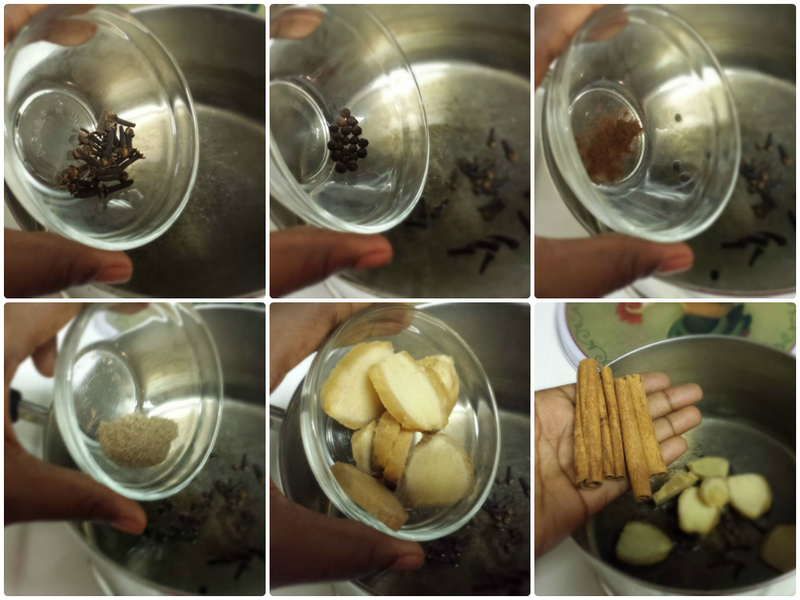 Remove from heat and cover to let the tea steep for 3-5 minutes. 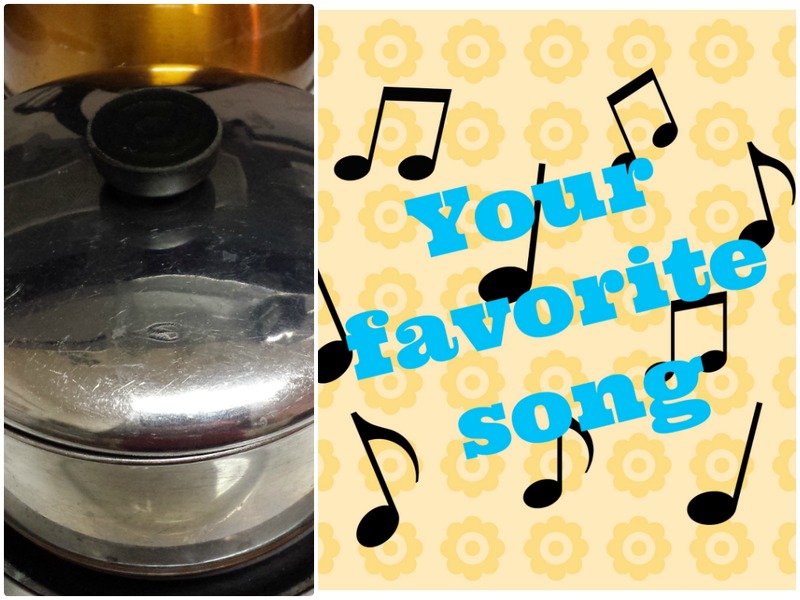 Break out your second favorite song. This time it’s okay for the people who like strong tea to get a little carried away. Your tea should be a beautiful, dark amber. Here is where you add your sugar. I would suggest you start with 1 tbsp then add a little more if you see fit. 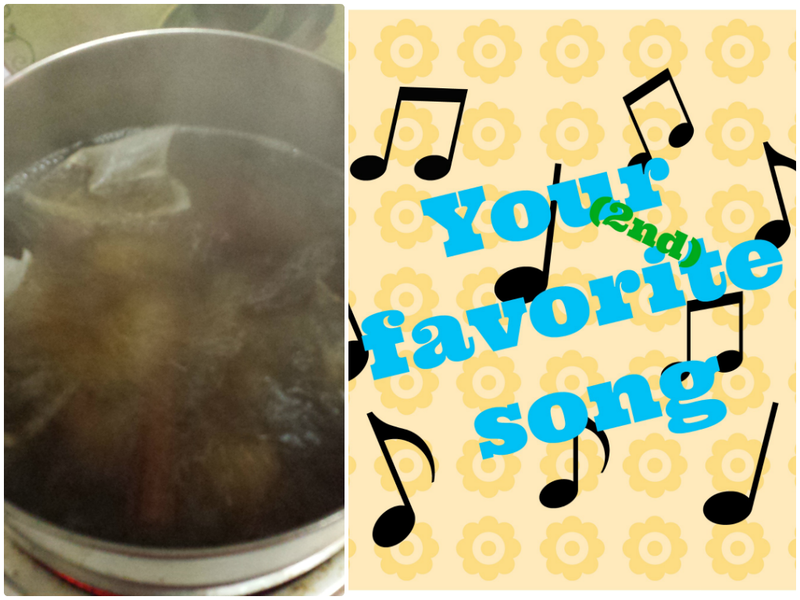 I add mine in before I strain the tea but you can do it afterwards if you’d like. I like to use 1 qt mason jars because they’re so darned cute and because it’s easy for me to place my strainer at the mouth. Discard the solids OR if you know something funky to do with them please share. And voila! You can drink your chai tea straight at this point. If you would prefer to do it this way try adding an extra cup or two of water at the beginning. For the latte lovers, add your favorite milk and you’re done! 1. 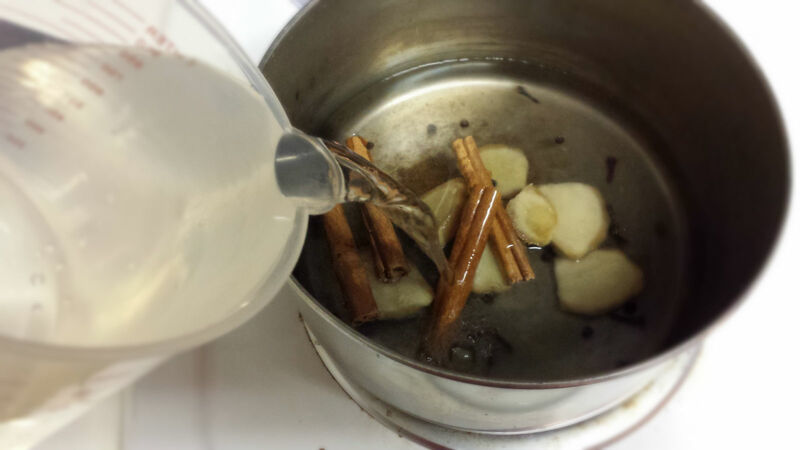 Add cloves, peppercorns, allspice, cardamon, ginger and cinnamon to medium sauce pot. 2. Add 4 cups of water. 3. Stir ingredients together as you bring the mixture to a boil. 4. As soon as the water begins to boil, remove the sauce pot from the heat, cover and set aside for about 5 minutes. 5. Return the pot to the heat and bring it to a boil once again. Add the tea bags and stir. 6. Remove from heat and cover to let the tea steep for 3-5 minutes. 7. Add sugar in 1 tbsp increments to taste. 8. Strain into storage container and discard the solids. 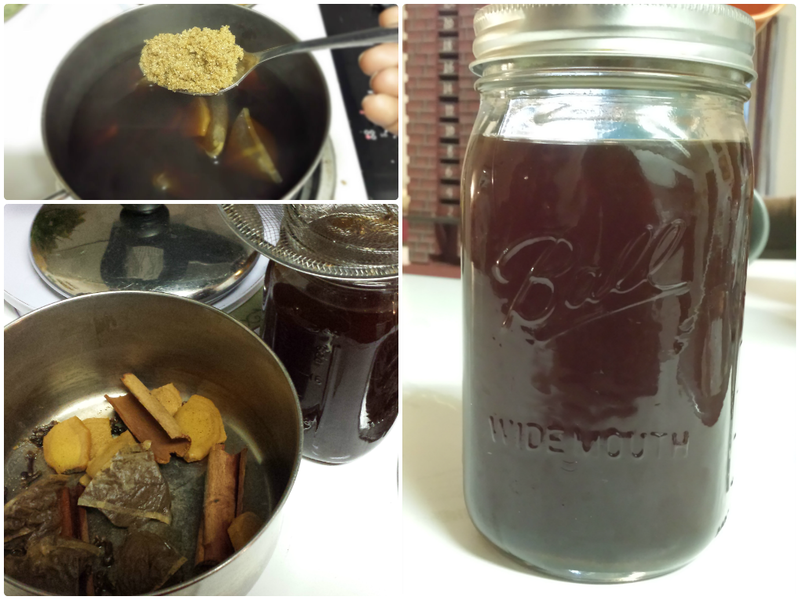 This entry was posted in Food and tagged chai tea, from scratch, homemade, recipe. Bookmark the permalink.